Need some help with the artist's inscription at the end of a long hand scroll. 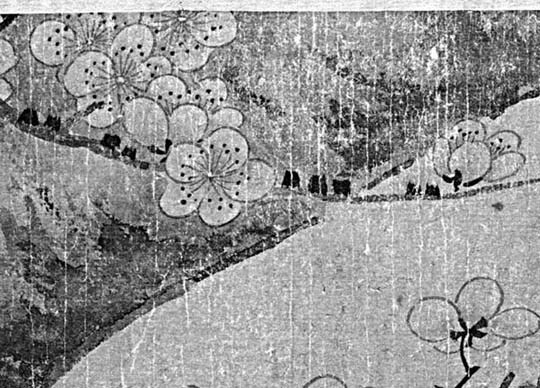 Depicted are Plum trees and blossoms. Ancient trees and young trees, fresh unformed blossoms and full blown flowers. the attribution is to Yang Wujiu, a late 12th century artist. Very few of his works are known to be extant, and no works on paper. This hand scroll has an artist's long inscription at its end. Looking for any help with a translation of that inscription. 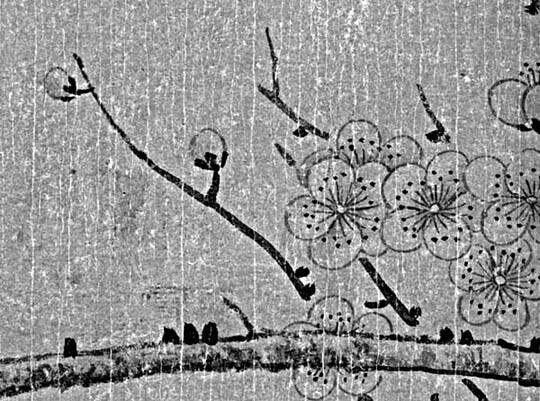 I've include two detailed images of the blossoms and tress where the blossoms have a very subtle ink wash that adds depth to their depiction. My mistake. 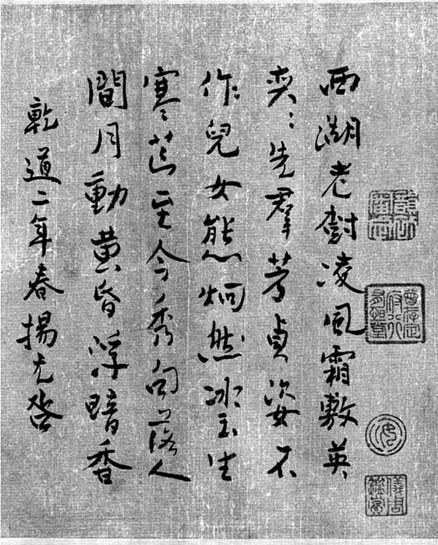 The Palace Museum in Beijing has a hand scroll by Yang Wujiu on paper. It depicts four different views of plum blossoms.